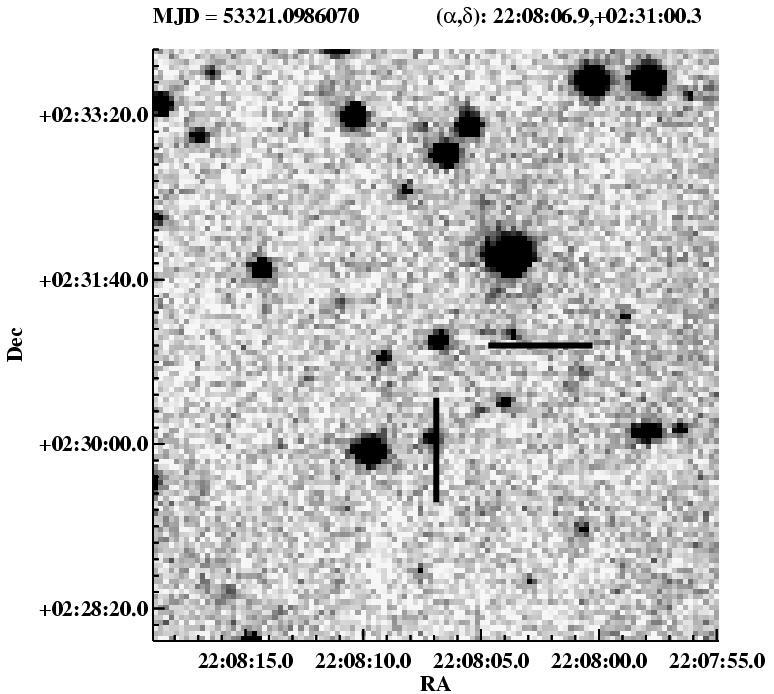 Online analysis of ROTSE-III sky patrol fields has revealed an interesting transient which we designate ROTSE3 J220806.9+023100.3. This object is absent in images taken up until 12 November 2004, and is present in four images from ROTSE-3b on the night of 12 November. Light curve of the four detections. It faded by 0.8 magnitudes in 30 minutes. Marginal detection the next night, from a stack of 10 60-s coadded images. The Digitized Sky Survey location reveals a dim counterpart. 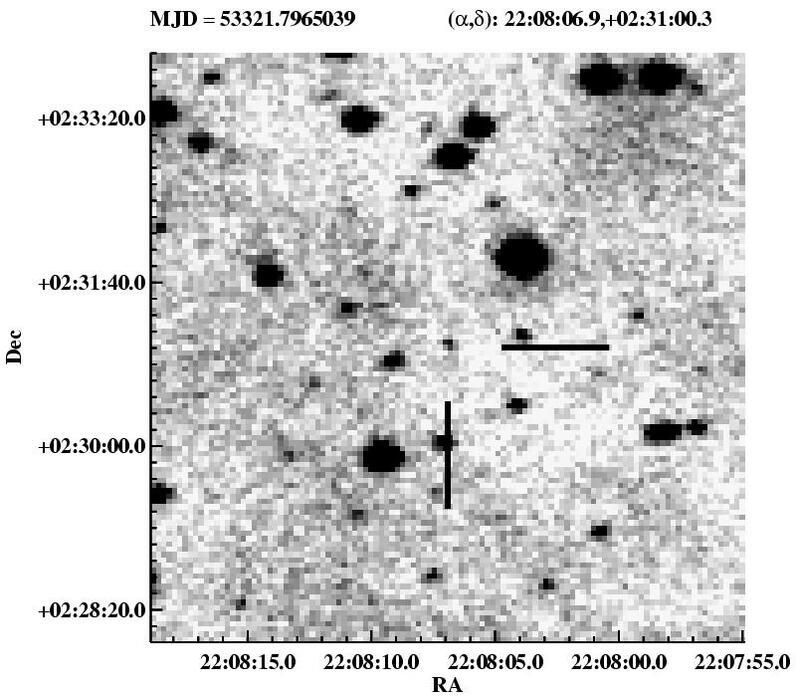 In addition, the 2MASS Catalog reveals a fairly bright 15th magnitude counterpart shown here. The color of the counterpart is quite red, as can be seen in the color-color plot. 2MASS color-color plot for the region around the transient. The counterpart is very red in both H-K and J-H colors. The counterpart is also listed in the USNO-B1.0 catalog. 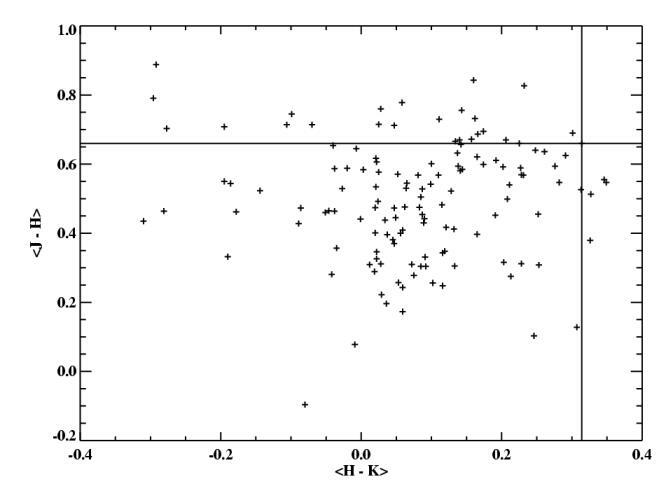 In two epochs it was measured at R=17.6 magnitude and R=19.9, indicating prior variability. It also has a relatively high proper motion of 32 mas/yr. 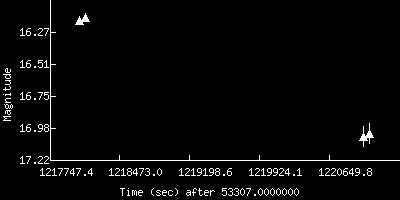 All of this leads us to conclude that the transient is a nearby M-Dwarf type star that flared very quickly.